Situated to the west of Britain, Ireland has a haunting beauty that attracts tourists in droves to the country. The lush green countryside has given it the poetic name of Emerald Isle, the third largest island in Europe. Bucolic beauty aside, Ireland’s remarkable transformation from a sleepy European backwater into a fastgrowing economy in the 1990s is still a pet topic with development economists worldwide. 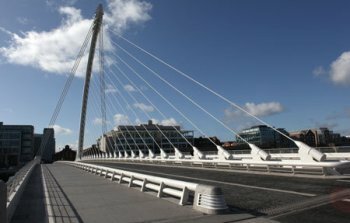 While Ireland’s economic success was pivotal in the county’s image makeover, some other factors have also played a part. Though the issue of emigration still touches a nerve with the nationalistic Irish, there is no denying the fact that the exodus of the people to various parts of the world for more than a century gave a fillip to the country’s economy by way of remittances and investments. The peaceful resolution of the terrorism issue in Northern Ireland also offered valuable lessons to other countries facing the scourge of armed insurgencies. But Ireland’s successful stints in the UN Security Council and the European Union presidency in the first half of the last decade made the world sit up and take notice. But low interest rates and indiscriminate lending transformed Ireland into a nation of property developers. At one point in time, the Irish came to be rated the second-richest people in the EU. But the boom soon assumed the shape of a bubble. The downslide, as everyone knows now, began when property prices came crashing in 2006-07, setting off a run on the country’s banks. Somewhere in between, the banking crisis escalated into a full-blown sovereign debt crisis. To cut a long story short,the events culminated in the EU and the IMF led bailout of the country in November 2010, the second in the Euro-zone after Greece. Blessed with natural beauty, Ireland attracts tourists from all over the world. 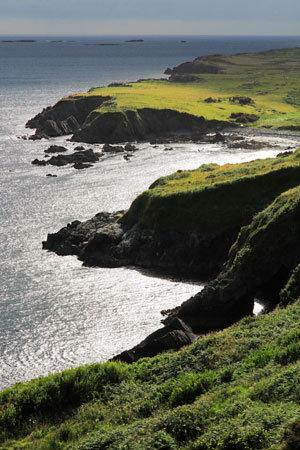 Not for nothing is the country called the Emerald Isle, the third largest island in Europe. Ireland is thought to have been inhabited as early as 6000 B.C, and archaeological evidence points to the arrival of various tribes such as the Nemedians, Fomorians, Firbolgs, and Tuatha De Danann. Around 300 B.C., the Gaels or the Celts entered Ireland from Europe, laying the foundation for the modern Irish population. Little is known about pre-Christian Ireland, except for the predominance of the Druids, a priestly class that later was suppressed by the Romans. They disappeared altogether with the onset of Christianity, which was brought to Ireland as early as 432 A.D. by St Patrick. There are many fanciful tales of Patrick’s battles with the Druids, culminating in a victory that led to the spread of Christianity in the coming years. Relative peace reigned in Ireland for the next 300 years until the arrival of the Vikings in 795 AD. Clashes with the Vikings disrupted the island, but Brian Boru, the King of Munster, managed to keep the fractious island together. He was able to defeat the Vikings in the famous Battle of Clontarf in 1014, unifying Ireland once again. After a brief period of rule by the Normans who arrived in Ireland in 1168, Britain’s King Henry II landed in Waterford in 1171, the first King of England to arrive in Ireland. Henry encouraged his barons to gain control of most of Ireland, through grants of land. The king also awarded the Irish territories to his son King John, bringing Ireland directly under the control of the Crown. Throughout the 13th century, English kings endeavored to weaken the power of the Norman lords in Ireland. However, The Black Plague, which hit Ireland in the 1340s, affected most of the English and Norman inhabitants of Ireland, but left the native Irish relatively unscathed as they lived in the interiors and rural parts of the country. As a consequence, the Gaelic Irish language and customs came to dominate the country again and by the end of the 15th century, central English authority had all but disappeared. In 1541, King Henry VIII upgraded Ireland from a lordship to a kingdom and he was proclaimed King of Ireland by the Irish Parliament. From the 16th century until the early 17th century, the British government carried out a policy of colonization known as Plantations, which involved confiscating lands occupied by Gaelic clans and giving them to colonists from Britain. Farms were occupied by English or Scottish settlers who accepted the supremacy of the King. Many Irish became employees of the settlers but not for long. A few rebellions weakened the plantation system and gave way to bigger struggles such as the one for Irish independence. The 17th century was one of the bloodiest in Irish history, bearing witness to two periods of civil war including the Wars of the Three Kingdoms in which Oliver Cromwell helped make England attain the status of a republic. The well-chronicled Irish dislike towards the British was aggravated by these actions and by the efforts of the British to topple Ireland’s economic foundations. Besides the grave economic situation, population losses through migration and the Great Irish Famine, which killed about 400,000 people, set the stage for the Irish Rebellion of 1798, which resulted in the suppression of Irish self-government. In 1800, after the Rebellion, the British and Irish parliaments enacted the Act of Union. This merged the Kingdom of Ireland with the Kingdom of Great Britain along with Scotland to create the United Kingdom of Great Britain and Ireland. Under pressure from the Irish National League founded by Protestant landowner Charles Stewart Parnell in the 1870s, the UK Parliament finally passed the Third Home Rule Act in 1914 to establish self-government for Ireland. But the struggle for independent Ireland continued post World War I, with the 1916 Easter Rising, an insurrection in Dublin. This was an attempt by militant Irish republicans to completely break away from British yoke, but the insurgency was suppressed in just six days. Although the uprising was small, it garnered support for the rebels, primarily the Sinn Fein, a political movement founded in 1905. As public opinion turned against the Irish parliamentary party, Sinn Fein won several by-elections in 1917 and by 1919 formed an Irish Republic parliament. From 1919 to 1921, the Irish Republican Army (IRA), the military force of the newly formed Irish Republic, waged a guerilla war against Britain. In 1920, the Government of Ireland Act implemented Home Rule, which separated the island into Northern and Southern Ireland. The War of Independence ended when Britain gave in and the Irish Free State was formed, becoming a self-governing dominion of the British Empire along the lines of Australia and Canada. An Anglo-Irish Treaty was signed by both governments, with Northern Ireland choosing to remain with the British Empire. Ireland drafted a new Constitution in 1937, renaming itself as Ireland or Eire in Irish. In 1949, the country left the British Commonwealth, and was formally declared the Republic of Ireland, while Northern Ireland gained Home Rule for itself although it continues to be part of Britain. Far from being united, Northern Ireland has been torn by conflicts between the Unionists who are Protestants and pro-British, and the Nationalists who are Catholics. The clashes between the two groups reached a crescendo in the 1970s, but their differences have since been sorted out. In May 2007, following another round of new elections to the Northern Ireland Assembly and two years after the IRA’s renouncement of armed struggle, power sharing became a reality in Northern Ireland. Today, the Republic of Ireland is presided over by the Prime Minister, known as Taoiseach. 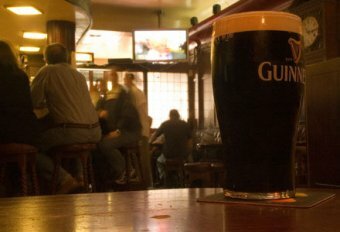 The ubiquitous Irish pubs serving Guinness draught are enduring symbols of Irish social life and culture. The eponymous pubs now dot some of the most happening cities around the world. “Unity in Diversity”, the phrase often used to describe India’s multi-cultural identity, could well be applied to Ireland too. Differences abound between city dwellers and the rural population, Catholics and Protestants, the English-speaking majority and the Irish-speaking minority. But there are certain aspects that unite Ireland like its history, fables, magical legends, music, and drinks. Leprechauns, Yeats, Guinness, Celtic music and dancing are enduring global symbols representing the Irish culture, while pop singers Ronan Keating, Enya, and Chris de Burgh, as well as Pierce Brosnan of James Bond fame are among the country’s modern icons. With a little more than 40% of the population under 25 years of age, Ireland is not short of youthful gaiety and exuberance and the Irish celebrate their social lives with music, festivities, and dance. The Irish pubs which dot the country serve as a meeting point for villagers and urban dwellers alike, where they share stories and jokes over a draught beer. Perhaps one of the most endearing facts about Ireland is its strict adherence to tradition even in modern times. Time-honored Irish music is an integral part of any public gathering and traditional instruments such as the fiddle, the tin whistle, and the uilleann pipes (Irish bagpipes) are used as accompaniments to Gaelic songs, which are often passed on from generation to generation. These songs are sometimes sung to the tune of the Celtic harp (an emblem of Ireland). The céilí, a traditional musical gathering, is an enduring expression of Irish social life. Such gatherings, as well as hiring fairs, cattle shows, and other festivals, usually feature locally produced ales and whiskeys and traditional foods such as Irish stew, soda bread, corned beef, and colcannon (a stew of potatoes and cabbage. One of the most important occasions for the Irish is St. Patrick’s Day (March 17), which is observed in honor of the country’s patron saint. Although outside the country, the holiday is a time for play and fun, in Ireland it is a solemn and religious occasion often marked by the recitation of prayers for peace, especially in Northern Ireland. Ireland’s economy has traditionally been associated with agriculture and the processing of agricultural products. But toward the end of the 19th century, the Irish farm sector lost out to immense competition from the fast-growing agrarian sector in the U.S. Ireland’s economy began to get a facelift with the establishment of the Irish Free State in 1922. The seeds of industrialization were sown in the south of Ireland. Increasing exports was emphasized, and to achieve that end, farming was conducted in a more organized manner and processing of agricultural products was given priority. The disagreement with Britain over the payment of land annuities was resolved in 1938 with the signing of the Anglo-Irish Trade Agreement, in which all duties imposed during the previous five years were lifted. The turning point in Ireland’s economic development came in the 1960s when the economy was thrown open to trade and foreign direct investment. With the end of protectionism, Ireland aimed to transform itself into an export-oriented economy by modernizing and re-orienting the indigenous economy. The results were there for all to see. Annual average growth in national income, both in GDP and GNP, averaged 4.2%. Public expenditure rose from 32% of GNP in 1960 to 42% in 1973. The social services and education sectors received increased attention. Ireland joined the European Economic Community, the predecessor of the EU, along with Britain in 1973, which marked the country’s arrival in the global economic arena. Ireland’s proximity to a large European home market, a young well-educated, English-speaking labor force, and a low corporate tax rate made the country attractive to foreign investors, particularly to U.S.-based manufacturing companies. These factors gave a boost to the country’s GDP growth during the 90s, earning it the nickname Celtic Tiger. Ireland continued its rally forward in the 1970s and for the first time since independence, the population increased by 15% during the decade. National income rose at a sustained annual rate of 4%, while employment increased by 1% a year. By 1975, more than 450 foreign-owned industrial projects, covering a wide range of manufacturing sectors, accounted for two-thirds of Ireland’s total industrial output. But this growth story proved to be short-lived as the crippling oil shocks that froze global economies affected Ireland too. From 1975 to nearly the mid-1980s, Ireland plunged into a crisis, bogged down by high unemployment figures and an increase in the number of immigrants. Moreover, high levels of government borrowing for current expenditures beginning in 1977 created a ballooning foreign debt. Adding to this, the global slowdown forced many companies to withdraw from Ireland, as they were hit by labor costs that had gone up substantially due to rising inflation and interest rates. Significantly, inflation had averaged 13.6% a year from 1971 to 1980, driven partly by the oil crisis and partly by domestic demand and an expansionary fiscal policy. The economy continued to be beset by the same set of problems well into the 1980s. The overall government expenditure between 1980 and 1986 grew from 54% of the GNP to 62%, while public debt increased from 87% to 120% of the GNP. The Fianna Fail party, which was re-elected to power in 1987, launched a program which involved cuts in public spending and other developmental measures. They also promoted business investment, which resulted in a series of investments in the telecommunication sector in the 1980s. With this, the country boasted the most advanced and comprehensive digital network in Europe. During the decade from 1986 to 1996, these initiatives helped boost Ireland’s real GDP to an average growth rate of 5.1% a year. The 90s could safely be termed Ireland’s best years, though skeptics point out that the so-called Celtic Tiger phenomenon was just a fantasy that hid the country’s underlying poverty. 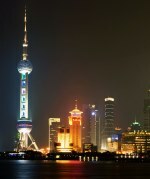 The country began to benefit from a host of external factors such as globalization and rapid technological advances, which spurred its industries and offered them competitive advantages. The growth of the U.S. economy also helped boost the flow of business investment into Ireland. Foreign companies, especially those based in the U.S., found Ireland to be a convenient entry point into the European Union as well as other European markets. What tilted the balance in Ireland’s favor was its proximity to a large European home market, a young, well-educated, English-speaking labor force, and a low corporate tax rate. By 1996, foreign firms accounted for over 47% of the workforce employed in manufacturing and internationally traded services – such as information and communications technologies (ICT), chemicals, pharmaceuticals, medical technologies and engineering. Thus, Ireland transformed itself into an export-oriented economy powered by the manufacturing and services sectors. The economic boom touched its peak in 1997 when the country’s real GDP grew 11.3%. A heady cocktail of low corporate taxes, low wages, U.S. economic boom, foreign investment, prudent budget policies and the free flow of EU subsidies helped the country soar to new economic heights. The dawn of the new millennium marked a paradigm shift as the domestic construction sector and consumer spending became the new drivers of the country’s economic growth. 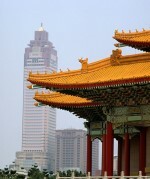 The demand for real estate rose along with income levels. Ironically, the reliance on Britain and the U.S., which had powered the growth of Ireland, now proved to be the country’s nemesis. Ireland’s position was made all the more vulnerable as the bursting of the technology bubble hit the American and other foreign companies hard. Understandably, these developments slowed down Ireland’s growth rate in the new millennium to just a fraction of the growth it had seen in the 1990s. Thousands of jobs were lost even as a high inflation rate of 5.6%, which was more than twice the Euro-zone average, plagued the country. Foreign investors ditched Ireland in favor of emerging markets such as Poland, Hungary and the Czech Republic, which offered cheap labor. Sensing alarm, the ruling Irish government tried to nurse the country back to health through a broader approach, starting in 2006. Emphasis was given to the development of domestic companies. Taxpayer money was diverted into R&D efforts by Irish companies and to build infrastructure required to promote these indigenous enterprises. The government intervention was effective in getting the economy back on its feet, though things took an ugly turn beginning in the second half of the first decade. Soon, the Irish economy started crumbling like a house of cards. Rising incomes and employment combined with cheap credit and tax incentives had fueled a real estate purchase boom, pushing up both home prices and housing stocks. The cost of an average house shot up three times in the decade through 2006, with about 40% of the country’s housing built in the first decade of the millennium alone. And with the spotlight shifting to construction, other important components of the economy such as exports suffered. Ireland as a nation was so enamored by the success of its ‘Celtic Tiger’ model that the government even began exporting the economic plan to other small countries. But little did the Irish citizens realize that they would soon have to give up their foreign jaunts, expensive meals and brand new cars. The housing property bubble burst, sending home prices on a downward spiral. This set off a chain reaction of sorts, which left the country’s banks exposed. But unlike some of their Western counterparts, the Irish banks luckily had very little exposure to complex derivatives. With the free fall in share prices of Irish banks, the government decided to guarantee liabilities at six of the country’s big banks, estimated at about $572 billion. But the real pain was yet to come as the costs of the rescue escalated as the banks’ losses mounted, affecting the public finances. International investors grew suspicious of Ireland’s debt levels and consequently the country had to pay higher interest on its debt. Not stopping with a massive bank guarantee, the government in January 2009 nationalized the Anglo Irish Bank, Ireland’s third largest lender. Rating cuts from Standard & Poor’s followed in March. Ireland’s sovereign debt levels for 2009 rose to 65.5% of the GDP from 44.3% in 2008. Ultimately, the country’s GDP contracted by 7.6% in 2009. The catastrophic events culminated in the €85 billion bailout of Ireland by the IMF and the EU toward the end of 2010. The bailout turned out to be painful for the Irish people as they reeled under a wide range of austerity measures. Spending cuts to the tune of €30 billion were implemented and taxes were raised. Salaries were reduced drastically and unemployment benefits curtailed. Thankfully, Ireland managed to exit the bailout program by 2013, in just about three years. Ireland emerged from the crisis a much more resilient economy after years of extreme volatility. The housing market, which was at the heart of the crisis, staged a steady recovery over the past several years, thanks to the new regulations imposed by the central bank to curb reckless mortgage borrowing and lending in the sector. Ireland also had a huge foreign debt problem, with a tendency to borrow heavily from foreign countries during good times, and making repayment difficult for the country when the chips were down. Thanks to the establishment of the Irish Fiscal Advisory Council, this issue received the attention of the country’s lawmakers. Importantly, the surge in investment by U.S. firms as well as exports to the U.S. and the U.K. and a rebound in household spending helped the economy race ahead of some of its European peers. 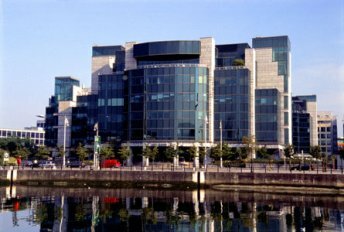 The Financial Services Center in Dublin stands on the banks of the River Liffy. Ireland has many advantages that work in its favor, both domestic and external. 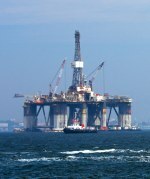 This small outpost of Western Europe continues to attract multinationals, thanks mainly to its low corporate tax rates. Moreover, Ireland serves as the springboard for American pharma and technology companies to gain access to the rest of Europe. A functioning democracy and a diversified economy are an added plus. Still, Ireland’s open, export-oriented economy exposes it to the vagaries of external factors as evidenced by the sharp economic contraction experienced by the country during 2009. During the course of its history, the country has witnessed wild economic swings ranging from the downturn in the 80s to the scorching pace of growth in the years leading up to the financial crisis in 2008. Lessons learned the hard way, Ireland has the potential to retain its rightful place among the global investor community.